Vasily Karasev wants to see a much more focused Brandon Jennings. 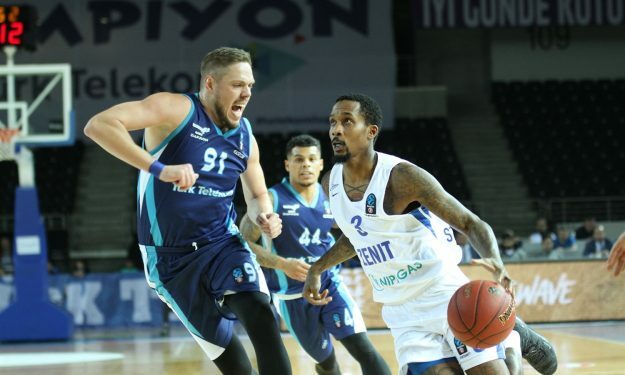 Zenit St. Petersburg head coach Vasily Karasev criticized Brandon Jennings’ performance, especially on the defensive end, following the team’s EuroCup loss to Turk Telekom. Jennings finished the match with 3 points (1/6 shots) plus five assists and two rebounds in 26:22 minutes for a season-low 4 in PIR. This performance came only days following a double-double he notched in a VTB League win over Enisey. In the 2018-2019 EuroCup, Jennings has been averaging 9.3 points, 8 assists and 4.3 rebounds over 28:25 minutes per game. Zenit is 3-3 in Group C, widely considered as the most difficult regular season Group.